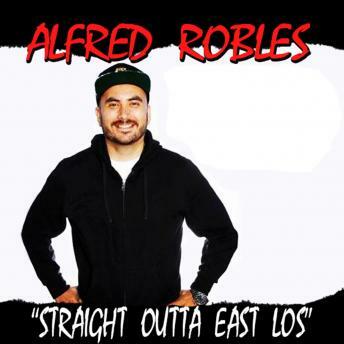 After getting kicked out of the police academy, Alfred Robles rose to become one of the hottest young comedians in the country. Two years into his comedy career, Alfred was featured on the hit show "Loco Comedy Jam" and the "Latino Laugh Festival". Alfred has spent the last 3 years touring the country and the world with Gabriel Iglesias on Comedy Central's Fluffy Shop Tour; Comedy Central's "Gabriel Iglesias Presents Stand-Up Revolution"; and Gabriel Iglesias' "Unity Through Laughter Tour". He has been seen on NUVO TV "Stand Up and Deliver", STARZ "Staaand Upp," and "Comedy.TV with Byron Allen." A mix between the comedy stylings of Mitch Hedberg and Jim Jeffries, Alfred's comedy is on the dark side. He steps on the line, but doesn't cross it. But beware - no one is safe from Alfred's good-humored teasing.